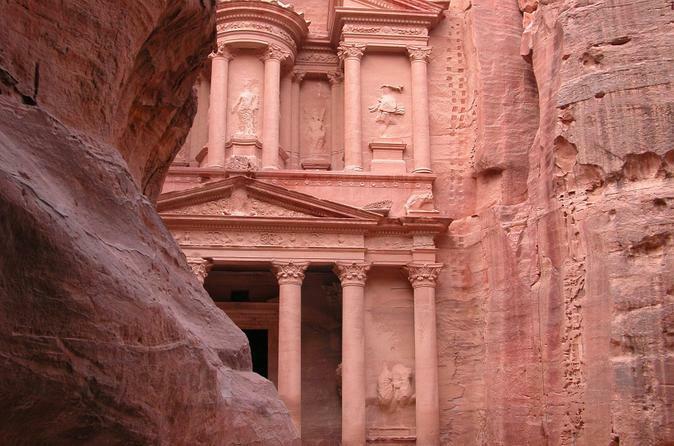 Private Petra sightseeing tour is an excellent way to discover Petra from Aqaba port. The full day tour will take you into the Rose Red City. In 10-hours you will drive by Wadi Rum & through Sharah mountains, walk through the Siq (narrow gorge) to the hidden city, to see the treasury, theater, royal tombs, Roman street and more. 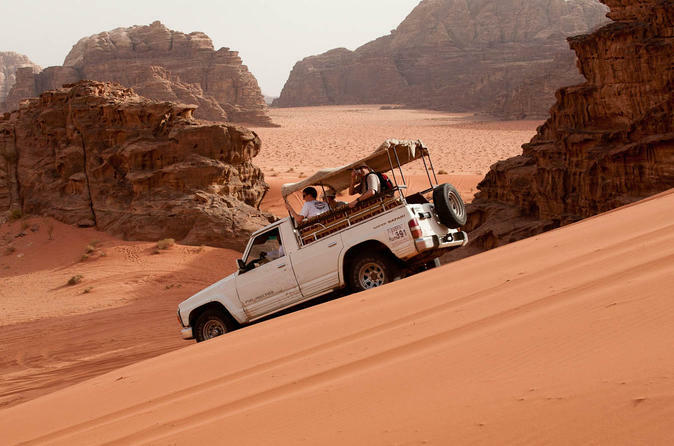 This private tour is an excellent way to discover Wadi Rum from Aqaba port. The half day tour takes you into "Valley of the Moon " in 4-6 hours. 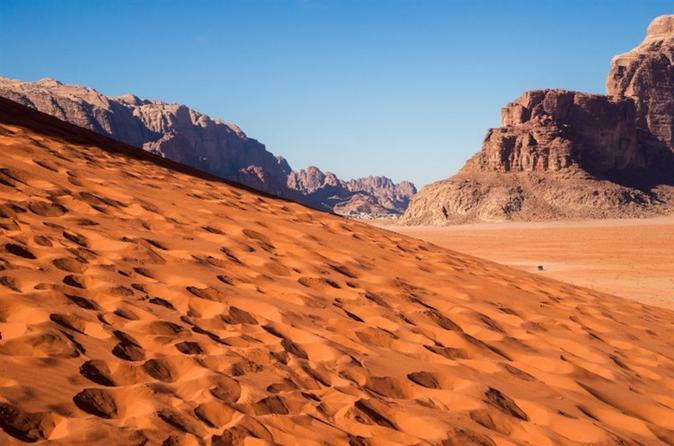 Follow the footsteps of Lawrence of Arabia in Wadi Rum by riding a camel, then take a Jeep tour to see even more! 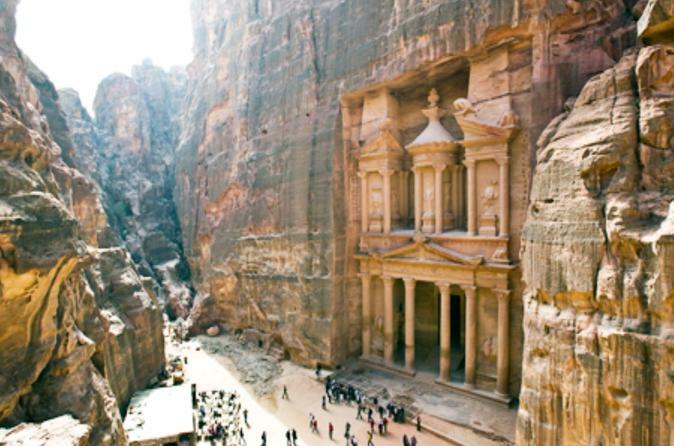 Book a seat with a group & travel from Aqaba to the UNESCO-listed city of Petra. 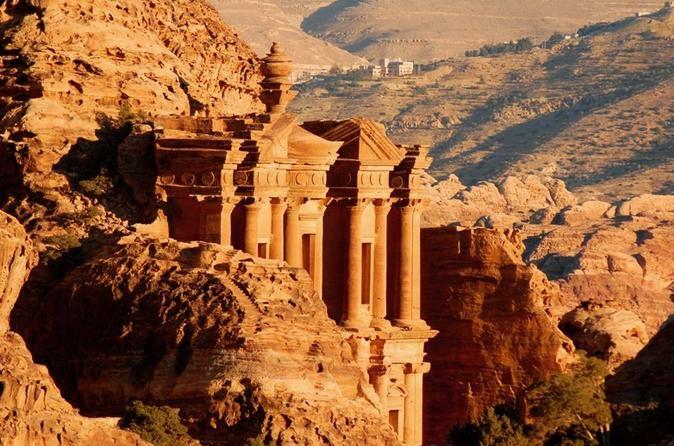 Discover the rose red city of Petra and its rock-carved ruins on a day trip from Aqaba. Enjoy a stroll or short horseback ride to the Siq gorge for a comprehensive walking tour led by a local guide. 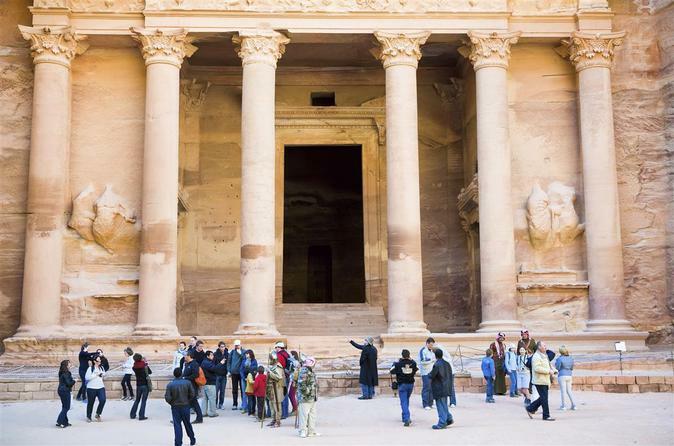 Admire Petra highlights such as the Treasury (Al Khazneh), the Royal Tombs and amphitheater, and then make the most of some free time to explore the city that has captivated visitors for centuries. Wadi Rum is the unique desert of Jordan the Middle East best described Lawrence of Arabia "Vast and echoing as God made" Red sand dunes with tall sand and Granite Mountains that cannot be described by any words unless you will have the experience. Full day tour of Rum could give this kind of experience with taste of culture and adventure. Where the experience of places and faces met together as you are guided by the people of the desert, The Bedouins.